Amino AcidsIHS BCAA 2:1:1 - 150 tabl. 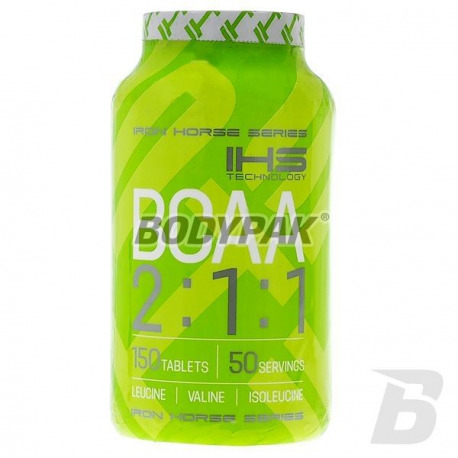 Excellent Bcaa firm IHS Iron Horse, in ideal proportions of amino acids. 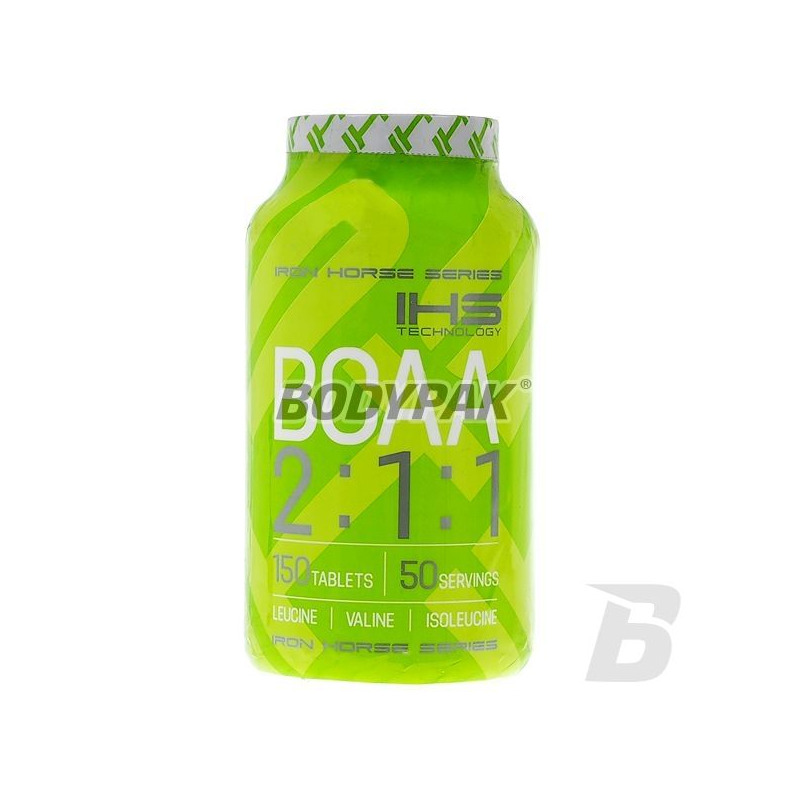 This product is the next offer from IHS Technology with the use of essential branched chain amino acids. This time is a pure amino acid without any additives, but leucine, isoleucine and valine composed in a ratio 2: 1: 1. Each tablet contains 1150mg until the branched chain amino acids. Branched chain amino acids BCAA represent up to 30% dry muscle tissue. Prolonged and intense training leads to stocks are so important because their supplementation. Super. Działa, nie kosztuje przesadnie.. jak trzeba.. polecam! BCAA jak BCAA, solidna koncentracja aminek w każdej porcji. Dobry produkt za dobrą cenę.